The Nissan Leaf and Chevrolet Volt have often been compared as two mass-market electric cars, though we all know the Volt is a plug-in hybrid rather than a true battery-electric vehicle. 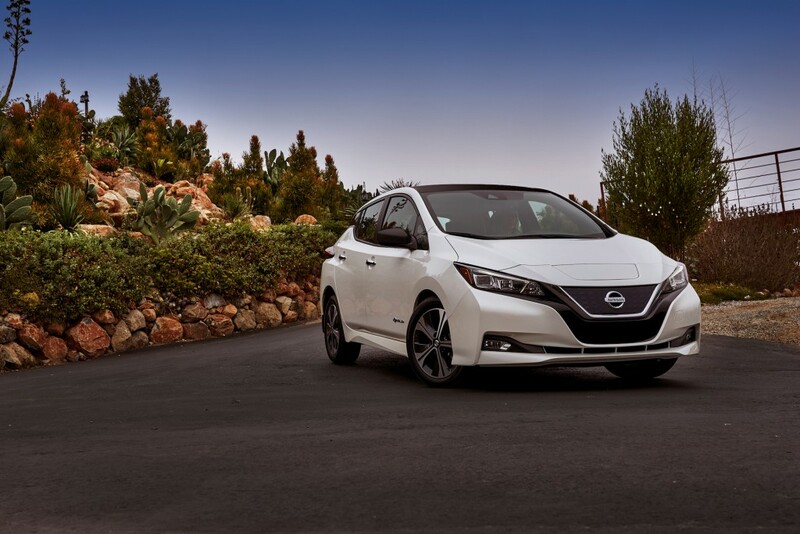 Chevrolet leapfrogged the capabilities of the Nissan Leaf with the 2017 Bolt EV, and now Nissan has struck back. The 2018 Nissan Leaf was revealed yesterday evening with a 150-mile range and a starting price of $30,875 including destination, and before federal tax credits. It marks an interesting strategy as the 2017 Bolt EV soldiers on as the range champion with regards to affordable electric cars, but comes in at a more premium $36,620. On paper, 150 miles is quite shy of the Bolt EV’s EPA-estimated 238-mile range. Nissan has tackled a mid-range segment for the 2018 Leaf not many currently play in. With a lower starting price and added technology, it will be interesting to see how the Leaf fares. Since its introduction, it’s been the best-selling electric car worldwide. The original 40 kWh battery pack has been updated to squeeze out 150 miles of range and provides 147 horsepower and 236 pound-feet of torque. Those are substantial increases from the outgoing Leaf, though shy of the 2017 Bolt EV’s 200 hp and 266 lb-ft of torque. 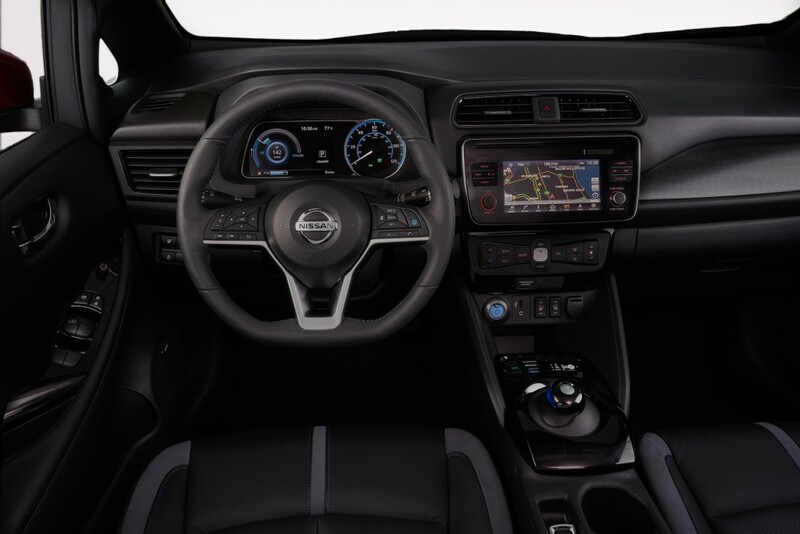 The 2018 Nissan Leaf arrives with the brand’s ProPilot assist semi self-driving system and “e-Pedal” technology, which provides one-pedal driving. 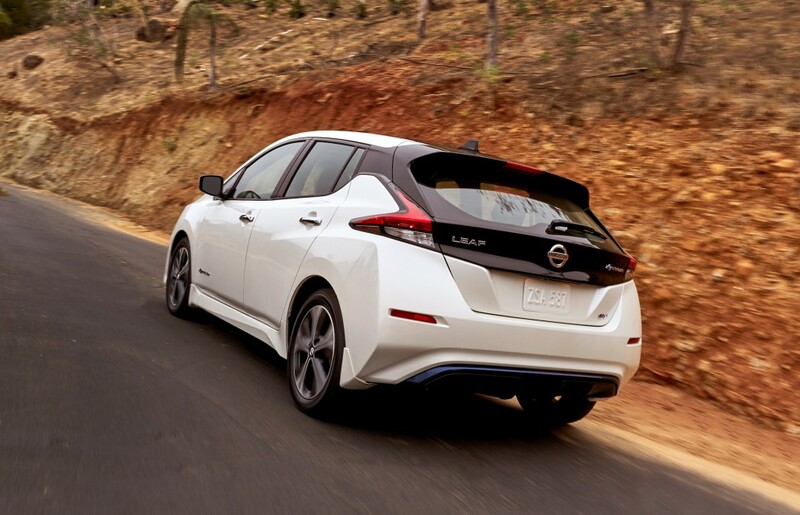 The e-Pedal system allows the 2018 Leaf to hold its position until the accelerator is pressed again. Therefore, starts, stops, acceleration and deceleration are possible with just pressure provided to the accelerator pedal. ProPilot Assist is the first step towards Nissan’s future of self-driving cars, which reduced driver inputs in single-lane highway driving scenarios. The most interesting factoid Nissan revealed is that a 60 kWh battery pack option will launch in 2019, which could make for a stronger range rival to the Chevrolet Bolt EV. However, Nissan did not provide specifics on range or power. For now, electric-car buyers will have another option to consider. The 2018 Leaf will go on sale in early 2018 and will launch in all 50 states at that time. Whether consumers compromise on price for lesser range remains to be seen. They undercut the bolt by 80 miles per charge and some people will try to find a way to say this is the right approach. Well that’s dumb. Nissan could have given the Leaf more range and probably still under cut the Bolt on price. Imagine GM having the ability to increase the Silverado/Sierra/Tahoe/Yukon’s gas mileage by a considerable margin, but just deciding not to. I agree with Brian, they’d be ripped apart by the media and consumers.